1979 Three Mile Island nuclear accident – where to put the radioactive trash? The license to store the material in Idaho now expires in 2019. In a separate agreement with Idaho made in 1995, the agency is required to remove the waste from the state by 2035. Federal officials currently have nowhere to send it. Extension Sought for Storing Three Mile Island Debris https://www.usnews.com/news/best-states/idaho/articles/2017-06-09/extension-sought-for-idaho-storing-nuclear-meltdown-debris Federal officials requested a 20-year extension involving the storage in Idaho of reactor core debris from the partial meltdown at the Three Mile Island nuclear power plant. June 9, 2017,By KEITH RIDLER, Associated Press BOISE, Idaho (AP) — Federal officials requested a 20-year extension involving the storage in Idaho of reactor core debris from the partial meltdown at the Three Mile Island nuclear power plant. The U.S. Department of Energy in a document made public Friday asked the Nuclear Regulatory Commission to renew a license allowing storage until 2039 at an 890-square -mile site that includes the Idaho National Laboratory. The debris from the 1979 nuclear accident was shipped from Pennsylvania to Idaho between 1986 and 1990. Research on the material was performed to improve nuclear fuel design and reactor safety. The material also includes intact fuel assemblies. “DOE remains committed to meeting its obligations to the state of Idaho,” the federal agency said in a March 9 letter to Idaho officials. The Nuclear Regulatory Commission received a letter dated March 6 from the Energy Department requesting the license renewal. Anyone interested in requesting a hearing or who wants to intervene must file a petition with the commission within 60 days starting Friday. Susan Burke, oversight coordinator of the Idaho Department of Environmental Quality, said federal officials told her that an additional four years for removal will allow them to decommission the area after the debris is taken away. The Idaho Attorney’s General Office declined to comment about the request for a license renewal. Attorney General Lawrence Wasden and the Energy Department have been at an impasse on another nuclear waste issue for more than a year. 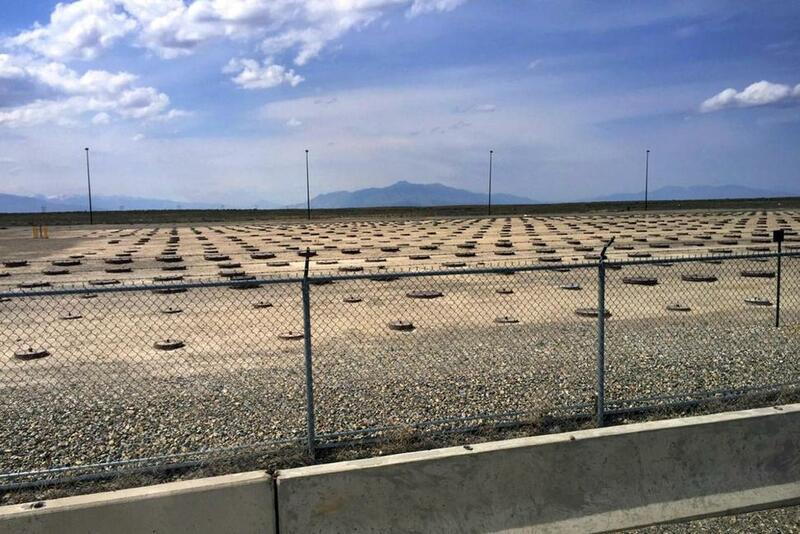 Wasden is refusing to allow research quantities of spent nuclear fuel to be shipped to Idaho National Laboratory — considered the nation’s top nuclear research lab — until the Energy Department demonstrates it can process 900,000 gallons of high-level nuclear waste. The Energy Department initially had a 2012 deadline to deal with the liquid waste that’s stored in tanks above a giant aquifer that supplies water to cities and farms in the region. That deadline has been extended multiple times and was most recently missed in September after the federal agency announced scientists couldn’t achieve a stable operation at a $600 million facility to treat the waste.